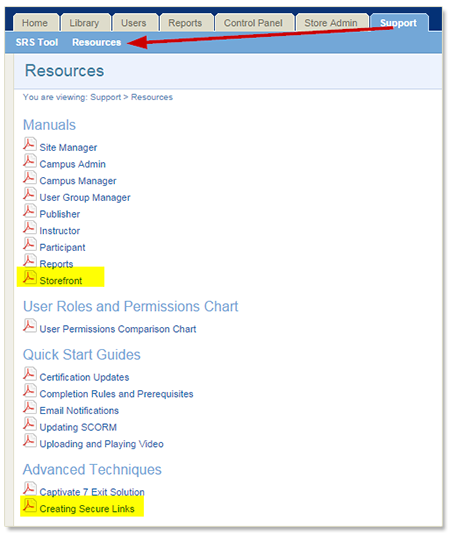 Two new resources have been added to Site Manager Resources. The newly published Storefront Manual will be useful to our clients who have are using eCommerce with their Informetica solution. Under Advanced Techniques, clients who are using Captivate to create SCORM packages, may be interested in the Captivate 7 Exit Solution that outlines a method for overcoming a known Captivate 7 bug within Informetica. To view any of these resources, select the Support tab and then select Resources.